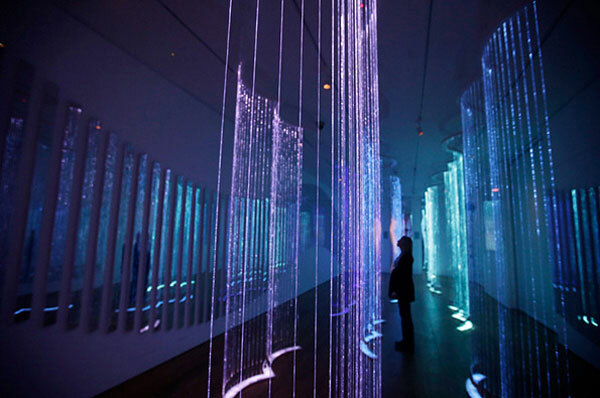 A light installation at Waddesdon Manor inspired by the Northern Lights. Cantus Arcticus was inspired by the shimmering curtains of the Northern Lights and by a piece of music of the same name, by the Finnish composer Einohujani Rautavaara (b.1928), which in turn was inspired by the landscape and bird song of the Arctic tundra. 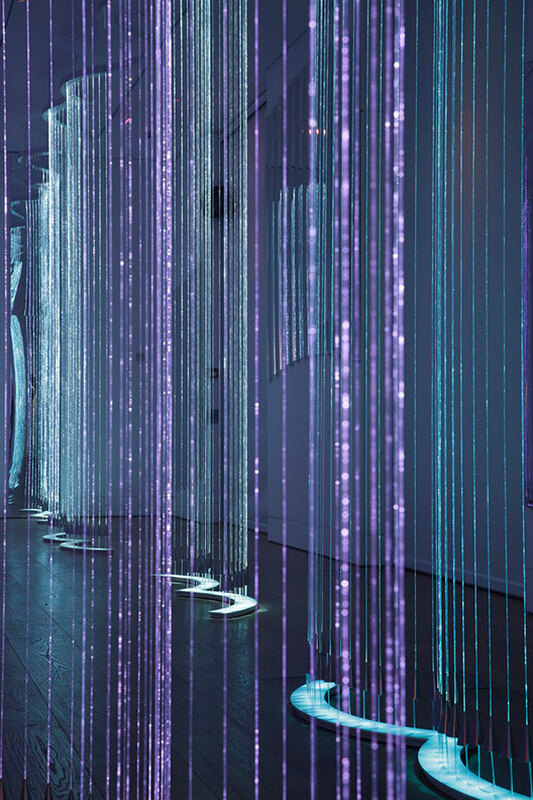 It is composed of 15 abstract bird forms rendered in curtains of glowing fibre optic occupying the Coach House floor. 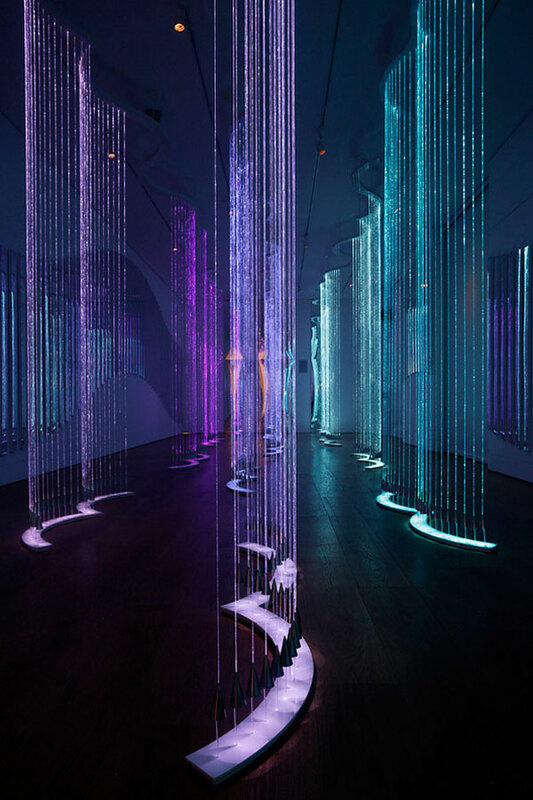 Light will cascade from above each piece, casting soft pools that change colour in response to Rautavaara’s music, which will be playing in the space.